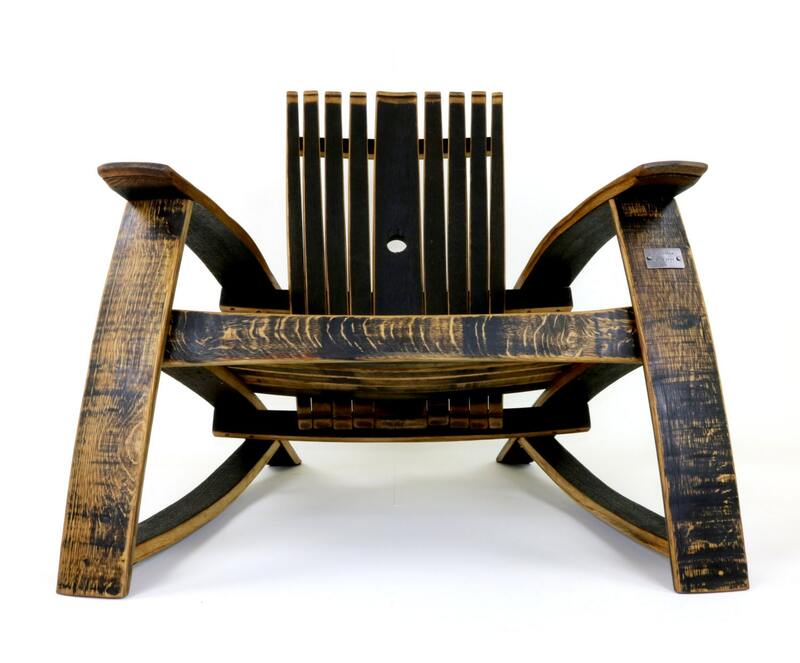 Our signature Bourbon Barrel Chairs are known and loved world wide. 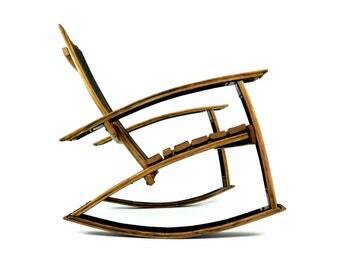 Each Lounge Chair is handmade with quality craftsmanship and with attention to detail. All barrel staves are slightly curved which provides excellent support through out. Sanded just right without removing any of the wood’s natural color or patina. Choose from the two styles available that fits you best. Astounding. Beautiful petina, solid, so frigging comfy. Beautiful addition to our outdoor space! And a fantastic bday surprise for my whiskey loving hubby :) We both love it! Perfect addition to our front porch for my bourbon loving husband. I accept payments through the Etsy check out counter. The prices you see on this Etsy shop page are only for buying off of Etsy. Each item has been calculated for shipment. For local pick ups in southern California please contact me directly. We can accommodate your needs by adjusting certain measurements in our existing furniture line. However, we do not make completely custom furniture. Any measurement changes must be discussed before purchasing. If you are unhappy with your order for any reason, please contact me right away and I will do my best to resolve the problem quickly. Refunds and exchanges are handled on a case-by-case basis. I want you to be happy so please don't hesitate to contact me with any questions or concerns. Anything damaged please be sure to take a couple quick pictures. Anything replaceable we will send out for free. Customer will be responsible for return shipping costs. A 30% restocking fee is applied due to the fact our items are made to order. When you purchase a large piece of furniture (lounge chair) or large quantity of furniture you must provide us with a telephone number. This is forwarded to the freight company who will call you to schedule the date and time of the delivery. ANY SECOND DELIVERY CHARGES THAT I MAY RECEIVE DUE TO BUYER NOT BEING PRESENT AT TIME OF DELIVERY, BUYER WILL BE HELD ACCOUNTABLE AND WILL HAVE TO PAY THE FEE. IF INACCURATE SHIPPING ADDRESS IS GIVEN WHICH FREIGHT COMPANIES CAN NOT DELIVER TO, THE BUYER IS HELD ACCOUNTABLE. RECONSIGNMENT FEE MAY APPLY WHICH BUYER NEED TO PAY BEFORE DELIVERY CAN BE MADE. All smaller items are shipped with FedEx Ground. I will provide you with a tracking number and shipping information once the item has left our shop. Shipping prices only apply to the continental US. Excluding Hawaii and Alaska. Shipping is possible to those two states but additional shipping prices will be charged. Please contact me for more information. We will set up a special listing just for you with with accurate shipping rates. International shipment is possible. YOU WILL HAVE TO CONTACT ME FOR FURTHER INFO. The shipping schedule/date that you receive on your invoice is just an estimation and subjected to change. Expect delays during the holiday seasons. If you have a deadline please contact me direct and we'll try to accommodate your needs.